Apple has finally released iOS 12 to the general public with a boatload of new features and performance upgrades. If you are deciding on whether to update to the latest build or not, check out the speed test conducted by a YouTube channel. The speed test has been conducted against iOS 11.4.1 on older iPhone models. This will give you an in-depth look at how the performance has improved on older devices. So let’s check it out. 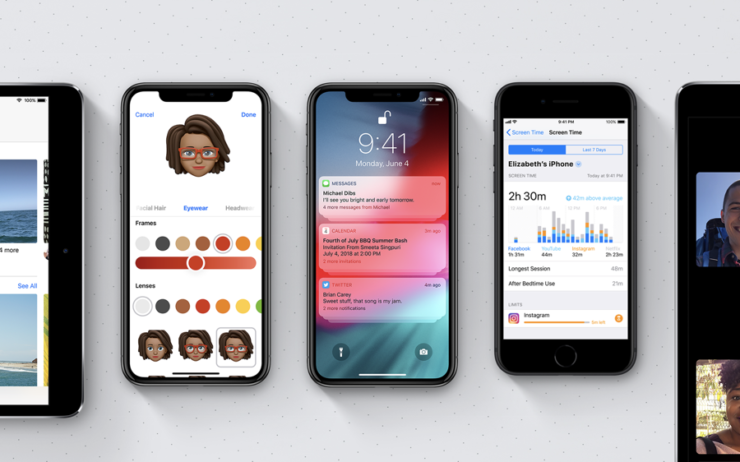 The latest build brings new forward-facing additions such as Siri Shortcuts, new notification management, performance improvement on older devices and much more. For now, we will be stacking iOS 12 final version against iOS 11.4.1 in a new speed test to see how performance has improved on the latest build. The speed test is conducted on iPhone 5s, iPhone 6, and iPhone 6s. On iPhone 5s, we can see that the device boots up faster on iPhone with iOS 12 final version installed. App launch times have improved on the latest build as well. For instance, the camera app launches much quicker. Overall, we can see that the iPhone 5s running latest build is more fluid. The animations and transitions are smoother. The device also loads content faster on iOS 12. However, there is not a world of difference but you can see the improvement. On the iPhone 6, we can see the same improvement, Boot up speed is faster on iOS 12. On the iPhone 6, the performance boost can be seen within apps. For instance, the Share Sheet opens faster on the latest build. In terms of app launch times, we can see how the camera app opens much faster compared to the iPhone 6 running iOS 11.4.1. The same fluidity in animations and transitions can be observed. Other than this, web pages load faster and no major lags are seen. Siri also responds to queries faster. Check out the video below for more details. iPhone 6s shows the same signs with a significant lead in boot up time. Performance boost can be observed on the latest build. Generally, the iPhone 6s running iOS 12 portrays a more fluid user experience. App launch times are faster, web pages load faster, animations are smooth and no major lags are observed. Check out the video embedded below for more details. The new build definitely adds to performance on older devices. This is definitely a good sign and approach adopted by the company. iPhone 5s is years old and the company still provides latest updates, an approach Google should take note of. What is your favorite feature in iOS 12? Let us know in the comments.